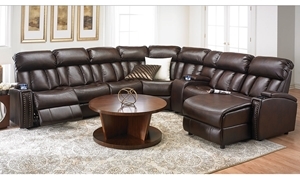 Cozy room-size sectional features over 19 feet of deep modular seating with four recliners and a storage console with cup holders. 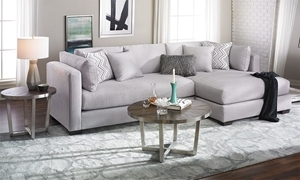 Silver sectional features over 120 inches of deep seating and a loose back design with comfortable bolster and accent pillows. 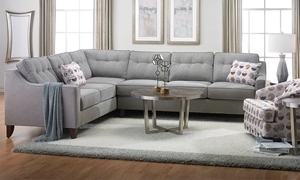 Grey sectional provides over 190 inches of deep seating with two tones of upholstery and a variety of toss pillows in different textures. 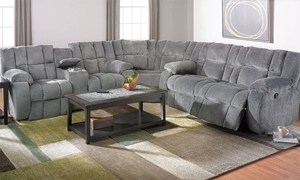 Generously padded power reclining sectional features power headrests, lighted cup holders, USB charging and adjustable reading lights. 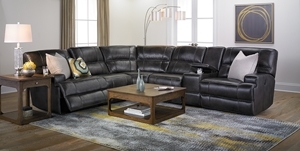 Power reclining sectional features seats hand-tailored in top-grain leather, as well as a storage console with USB ports. 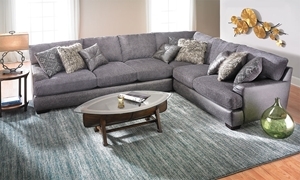 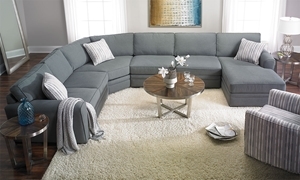 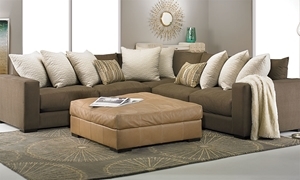 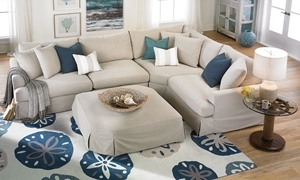 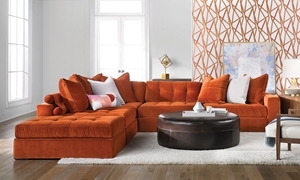 4-piece sectional features feather blend cushions, 8-way hand-tied springs and a removeable, cleanable slipcover.